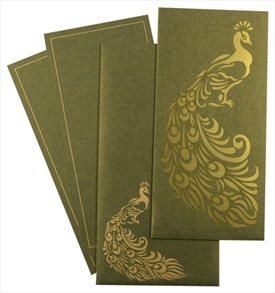 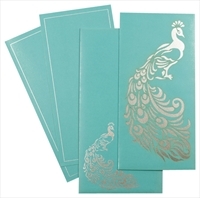 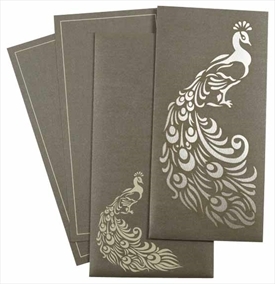 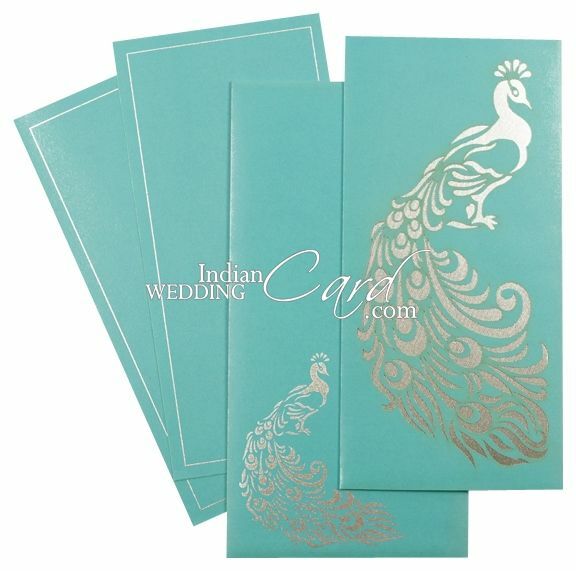 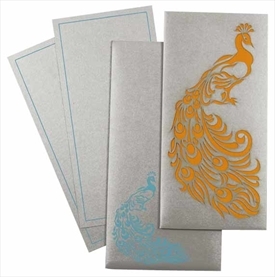 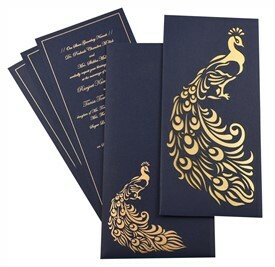 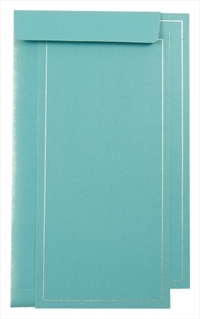 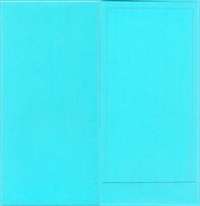 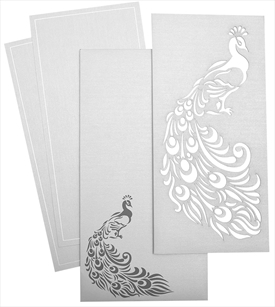 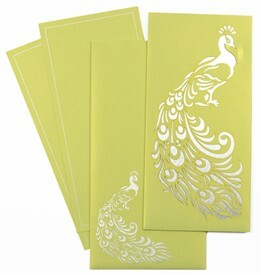 Sky-blue shimmer paper for main card, inside left paste-up, 2 inserts and mailing envelope (250 gsm). 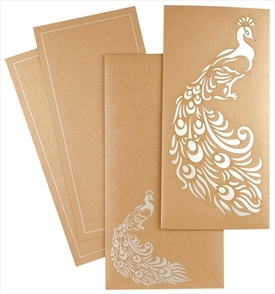 Silver foil paper (250gsm) pasteup behind the laser cut. 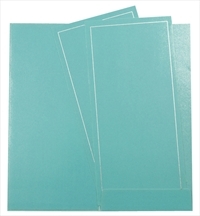 Silk Screen printing any dark color of your choice.